If you are using your personal car for business activities, you and your boss will have to keep a record of how many miles you travel every time you are on a business mission. That means you need a comprehensive, easy-to-fill-out mileage tracker. Luckily, there are many high-quality, pre-designed mileage tracker forms that you can download with a single click of a button and use for mileage tracking. Here is a useful list of the forms that you can use. 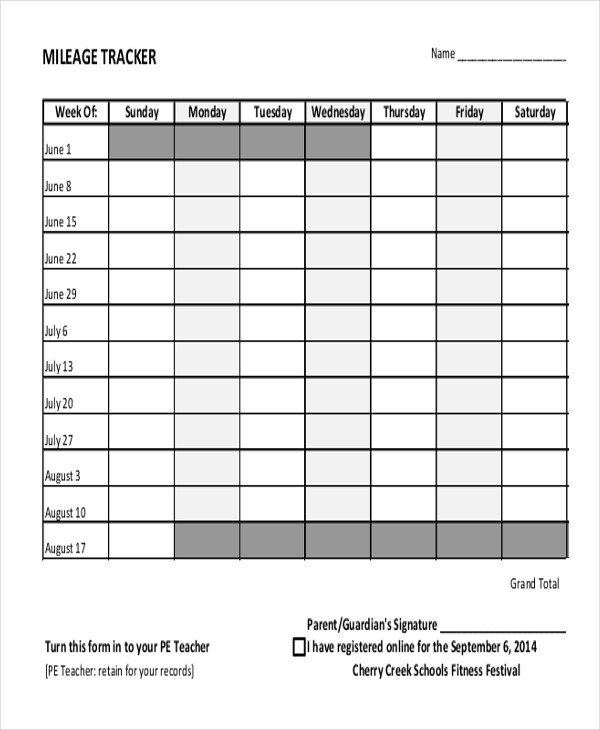 You may also see Time Tracking Forms. 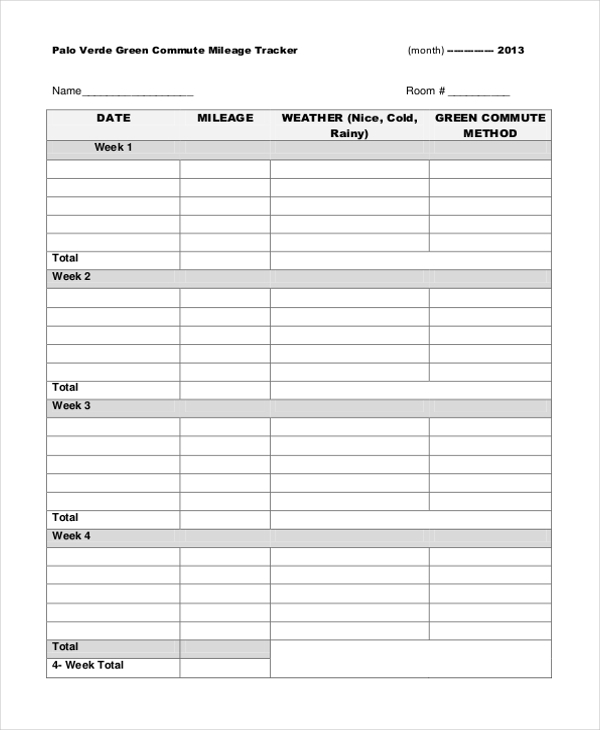 If you are looking for a simple mileage tracker that you can download and use for free, click the link below and download this form. The sample file is easy to fill out and it does not require design editing. 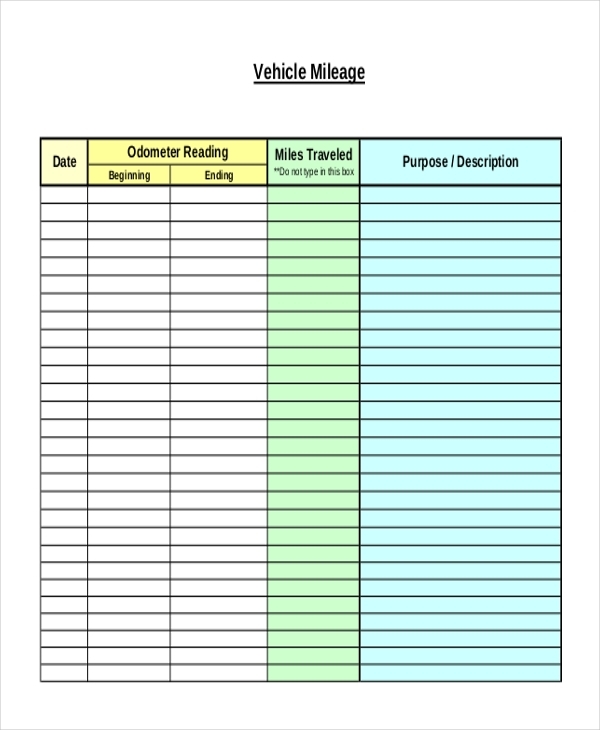 The blank mileage tracker is an easy-to-customize template. Or, you can just use it as it is immediately after download. Of course, the purpose of the document is to make mileage tracking simple. Track how far your personal car travels every day and every week using the free vehicle mileage tracker. The form is free to download. You don’t have to customize the document. Just use it as it is. A lot of employees get to go out for business assignments using their personal cars. As such, it would be necessary to record the total amount of miles traveled, so that your employer can compensate you. How much gas does your personal car use for business activities? It is difficult to tell from the top of your head. That’s exactly why you need a gas mileage tracker form, and this document makes a perfect choice. 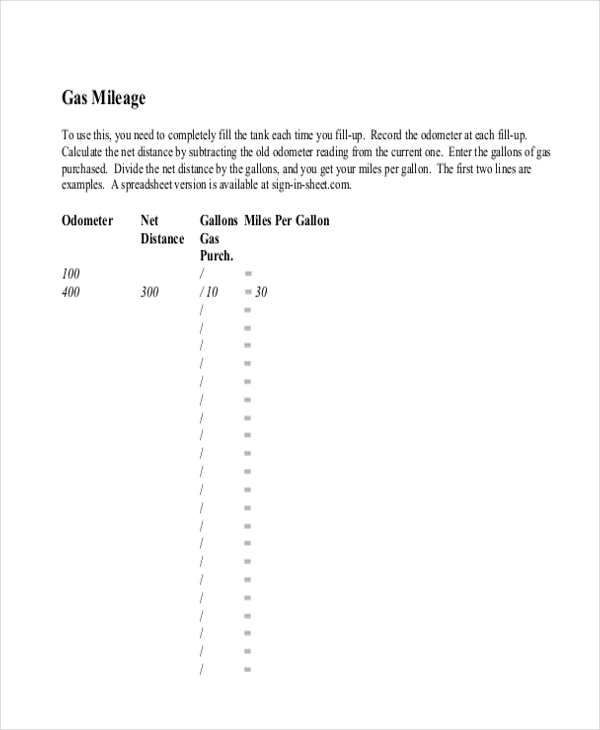 This form is a free sample file built to enable you to track your mileage without having to do a lot of paper design work All you have to do is to download the file and fill out the mileage details as appropriate. Did you know that you can track how many miles you travel a day? The details filled out in the mileage tracker form can help you present a mileage claim to your employer for compensation. It is easy to track how many miles you travel a week for business functions. All you have to do is to download this sample form and then fill out the details as appropriate. 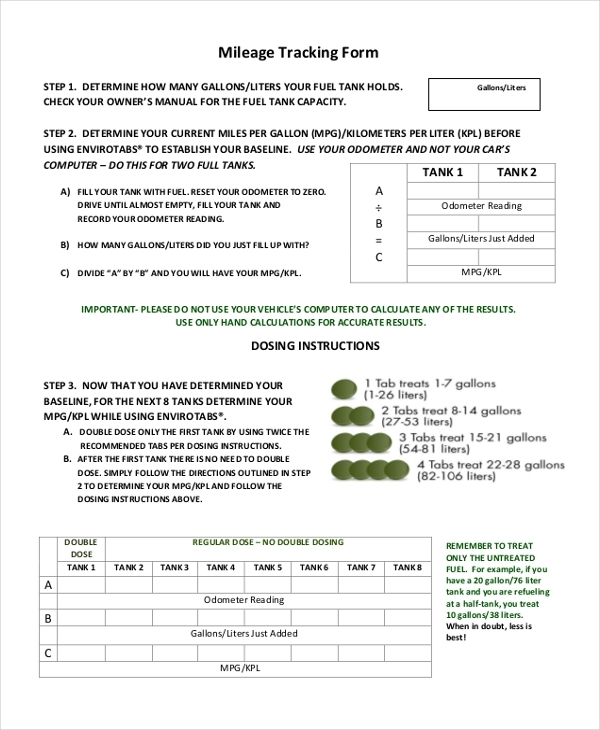 The sample form is free to download and use. A mileage claim tracking form enables you to see compensation after you use your personal for business activities. Download this form, fill it out, and use the details to make your claims. When a company expands or business grows, your employer will ask you from time to time to use your personal car for business use. That means you are not only going to spend a lot of money on fuel but also on other business resources. At the end of the day, your employer has to compensate you for the total amount of money spent on the road for business activities. 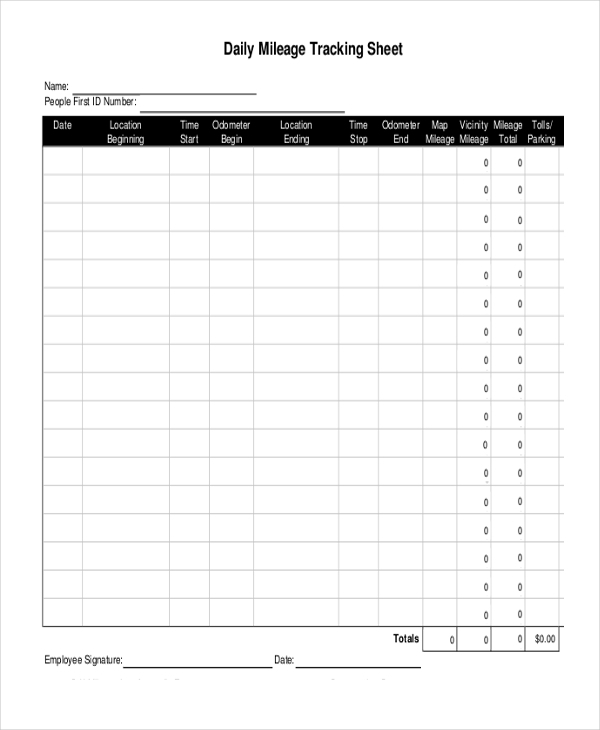 Therefore, this sample form is for you to fill out your mileage information and for your employer to verify the details and schedule compensation. 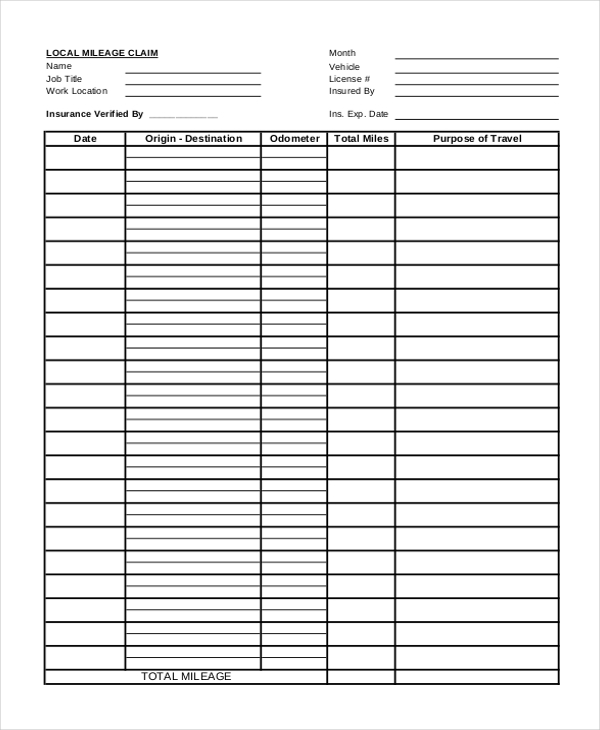 You can also see Employee Tracking Forms. How to Use The Sample File? 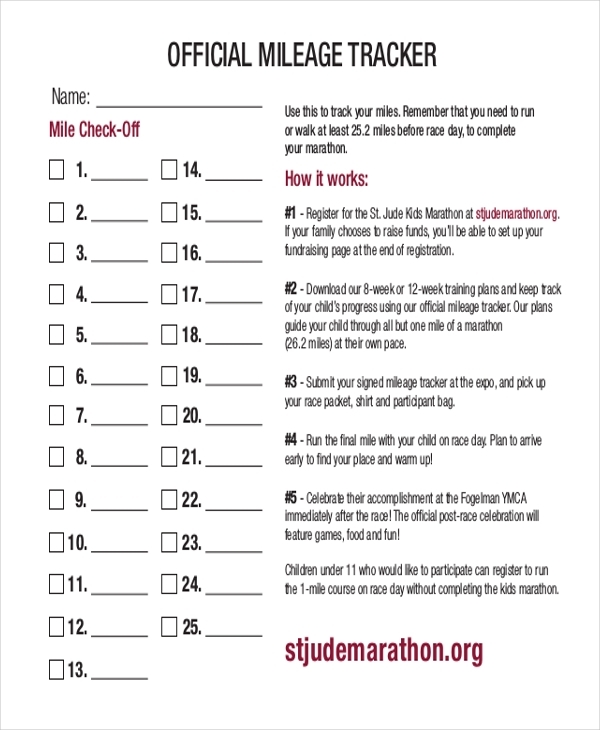 It is important to understand how you should use the mileage tracking form before you actually start to use one. Luckily, it is fairly simple. Each sample file is different in the terms of design, but they all have rows and columns. Pick a template with the correct number of rows and columns, and then use the sample template to manage your data. Submit the report to your boss or the HR department, so that they can make the necessary compensation plans. What are The Benefits of The Sample Forms? They are 100% free. You can come to this page at any time of the day, all the year round, and you download the sample files without paying a dime. The sample files do not require any editing, that saves you from worrying about customizing the files. At the end of the day, you do less work than you actually would if you opted to design the file from scratch. 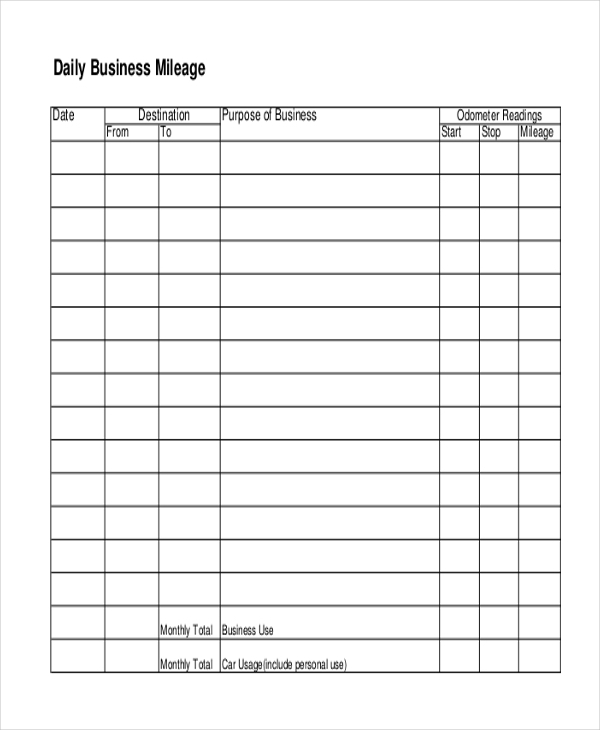 You should use the sample mileage tracker whenever your boss asks you to use your car for business activities. This helps to keep an accurate record of the details of the total miles traveled over time and the total amount of money spent. You may also see Sales Tracking Forms.